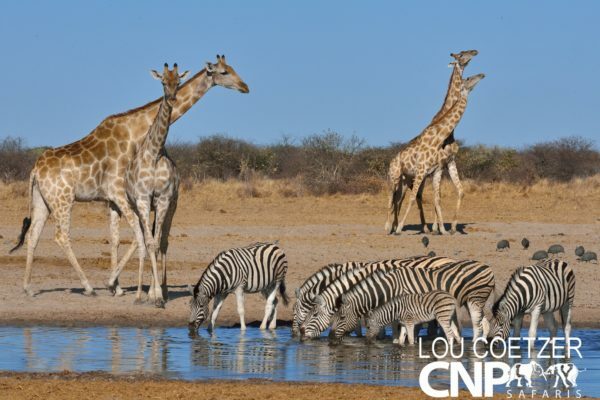 Etosha is such a productive destination. So when I initially edited images from a previous trip’s “To Edit” folder a vast number of photographs are never looked at again. It might be that I liked another photograph in a sequence more or that the photograph was just not rated very highly at first glance. 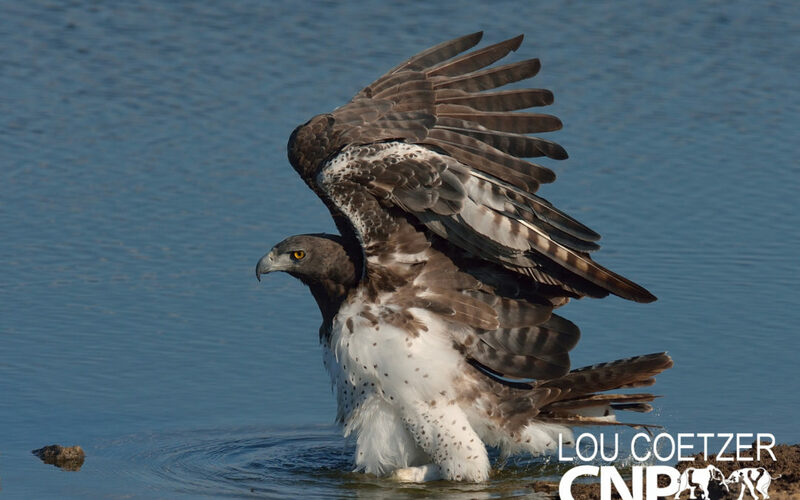 More importantly I might just have erred in rating these images at speed in the first instance. So I am making a deliberate effort to look at these forgotten photographs again and share them. What do you do with yours ? 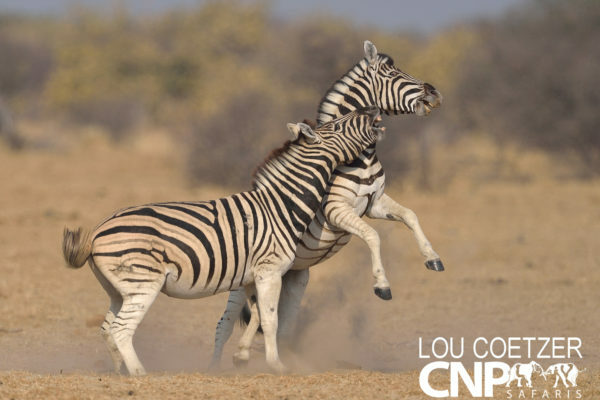 Zebra Dual – When Burchell Zebra stallions really have a go at each other and it all happens in great light and a beautiful clean background it is time to burn that motor drive! An African Story – I really enjoy creating layers in a scene by shooting depth. I simple scene but one that I enjoyed revisiting. 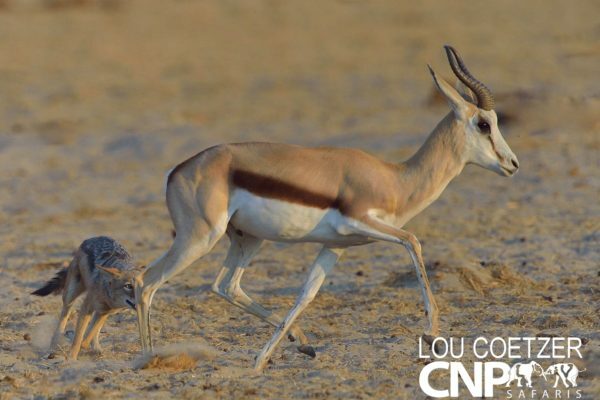 Cautious Black Rhinos – Is it not sad that visitors to Etosha and so many other destinations might never see this again. 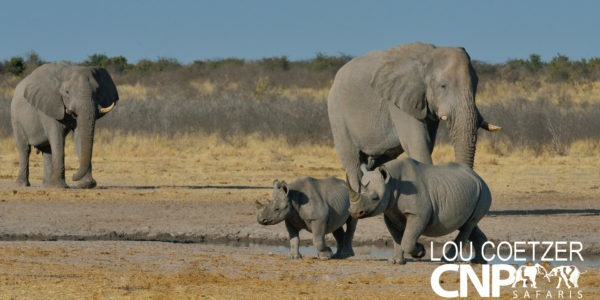 A Black Rhino Mother with horns in tack leeds here calf away from the aggressive attention of approaching Bull Elephants. 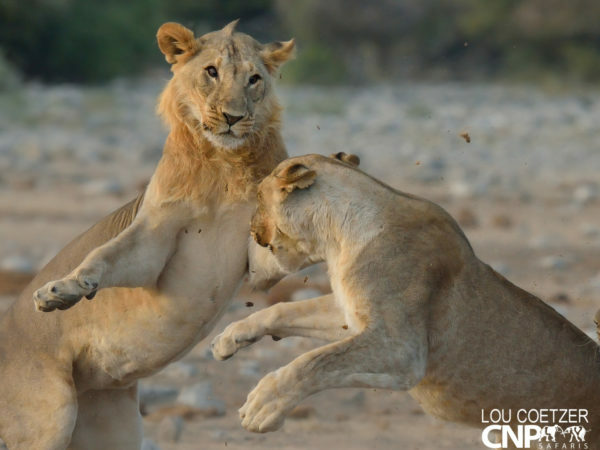 You Too Sister – After receiving a playful smack from his sister this young male returns the favour! 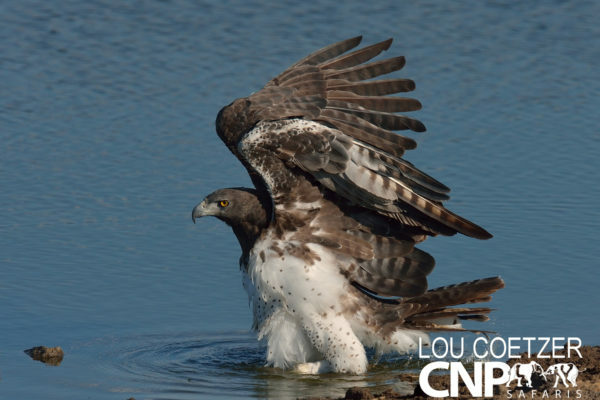 Martial Eagle Taking A Bath – What a sighting at Chudop waterhole. Right in front of me and in the open. 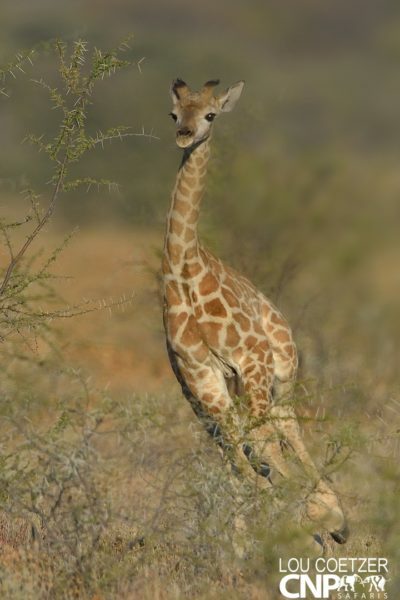 Giraffe Calf at Play – This was the first time in my life that I saw very young Giraffe playing by chasing each other over long distances. I never got a clean shot no matter how many times I returned to the spot. So yes a photograph with for me strong emotional value attached to it but with less impact to swing the vote on purely photographic terms.